Bisou Bridal is one of Vancouver's premier boutiques. 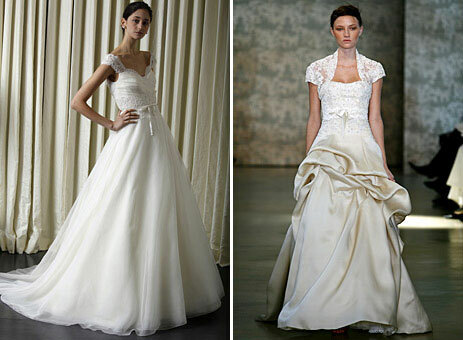 Their specialty is high-end labels in the $1,500 to $8,000 range (average ~$2,500), like Monique Lhuillier, Lazaro, Tara Keely, Alvina Valenta, Lillen, Barbra Allin, Watters, James Clifford, but they also carry bridesmaids dresses, formals, flower girl dresses, special occasion attire etc. 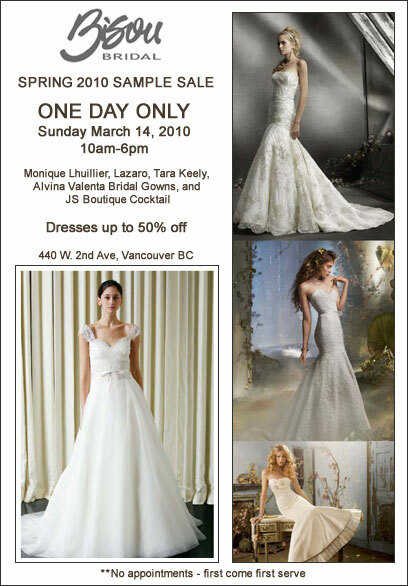 This Spring sample-sale sounds like a great opportunity to get your hands on one of those dream gowns. Nothing wrong with 50% off! What are you doing Sunday?